Despite the busy slate of activities on their calendar, the Westport Lions Club members keep forging ahead for each one and also continues to work at beautifying the buildings and grounds in the Sand Lake Beach area. This picturesque setting has been added to and cleaned up and sports fresh coats of paint both inside and outside the main club house, garage and gazebo. 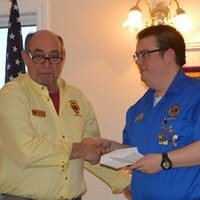 Don Baker is appreciative of the help of a student during the spring and hard work of many of the members as they helped out with the Spring Cash Draw that worked so hard to sell tickets and realize such a worthy amount to further the work of the Club in many areas, a job well done! As the names on the Executive are being put together, two very important jobs are still open for someone to accept. That is secretary and treasurer and we know a good team for leadership will be put in place. 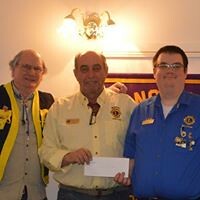 The Club’s donation to help re-upholster some of the chairs used in the dialysis Unit in Smiths Falls Hospital is very much appreciated by those who must use these facilities. 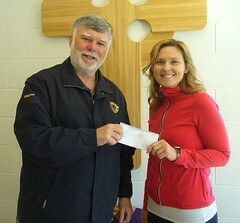 As one of the Club’s biggest summer fundraisers, the bingos will be setting up and run on the same orders as last year. As well the recycling department at the former trailer park above the club house and beach playground has opened, from 8 a.m.-12 noon and these hours will remain in effect every Wednesday and Saturday during the summer and fall. For more information contact Lion Don Baker at 613-273-2721. 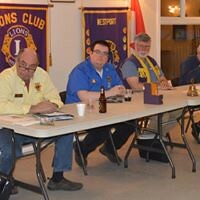 The popular steak barbecue will be held on June 12 and looks like the usual popular event with over 140 Lions members from all over Eastern Ontario already booked in to attend. Other dates of interest include the installation of the executive and awards at the Club House on June 26, with further information available soon.. It looks like another busy summer, but when everyone pitches in, it will be another one to be proud of.